This IPC Eagle 20" Clean Time (CT40) series auto scrubber is a great buy that comes with a ton of options. This model comes with 115ah batteries, an on-board charger and a 20" nylon scrub brush. If these options don't fit your specific needs, please give us a call, as we can customize the machine for you. We can quote you on more powerful batteries, or a pad driver instead of the nylon brush. Battery styles include; 12V 105Ah, 12V 145Ah, and 12V 100Ah Gel batteries. The drive on this unit is brush assisted, but can still be easily pushed with one hand. A traction drive model is also available. Give us a call to personalize your machine today. 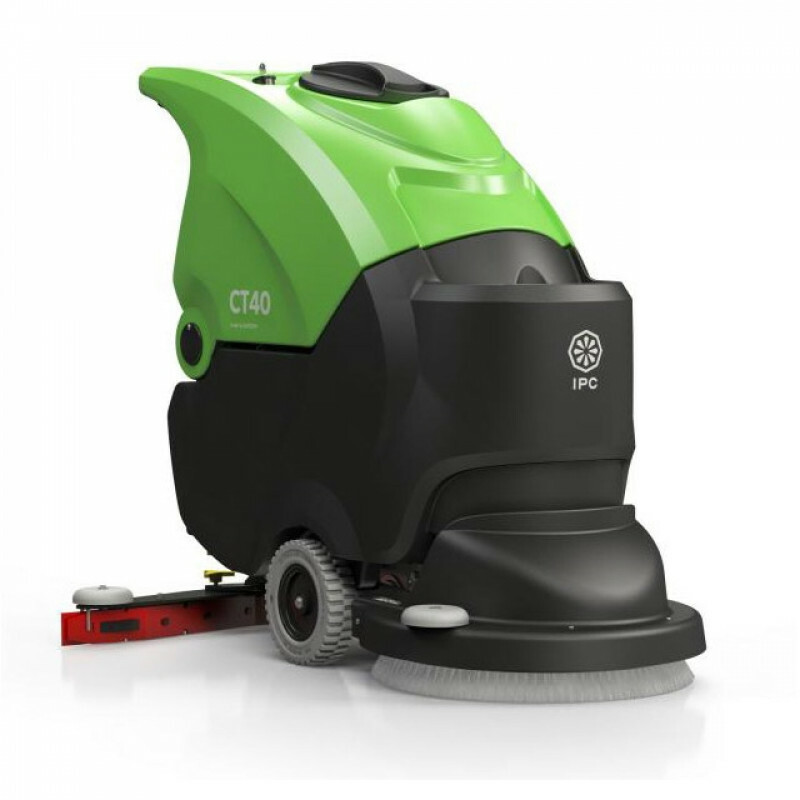 For more stock options, please take a look at our full line of automatic walk behind scrubbers and Floor Cleaning Chemicals to use with your new machine. Tanks and surrounding body made from high density polyethylene. Oil bath reduction gear box for maximum longevity. Brush head & squeegee system designed to absorb harsh impact. Control panel switches sealed & protected against water and humidity. Customers who were interested in the IPC Eagle 20" Brush Driven Auto Scrubber - CT40 were also interested in the following items. This is a review for the IPC Eagle 20" Brush Driven Auto Scrubber - CT40.